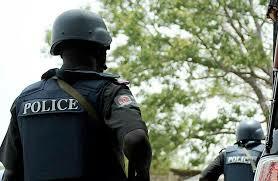 The Police Command in Niger state has arrested three suspected armed robbers who have been terrorising the people of Wushishi Local Government Area of the state. The command’s Public Relations’ Officer, Deputy Superintendent of Police Mohammadu Abubakar, disclosed this in a statement on Tuesday in Minna. “We received information that one Alhaji Samaila Usman of Zaragi Maito Fulani camp, had been attacked by hoodlums armed with cutlasses and a dane gun. “They stormed his house and inflicted injury on his mouth leading to the removal of his two teeth. “The suspects also robbed him of N87, 000, two sets of wrapper and one Tecno handset,” Abubakar said. He said the Command Special Anti-Robbery Squad swung into action, arrested the three suspects and recovered one single barrel gun and two cutlasses from them. Abubakar said upon interrogation, the suspects confessed to the crime and would be charged to court at the end of investigation.